For over 35 years Seco South has manufactured lifelines for sailboats for nearly all of the leading sailboat manufacturers in the USA including Hunter, Beneteau, Island Packet, Compac, Irwin and Endeavour just to name a few. 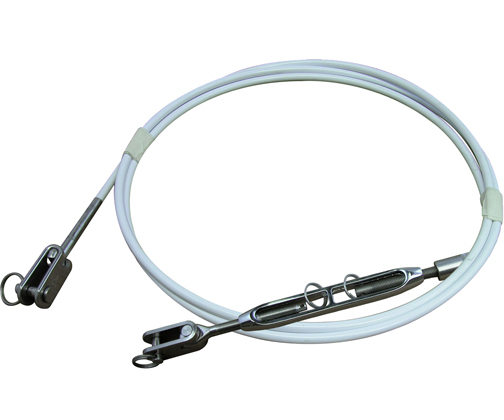 We manufacture our lifelines using only the highest quality type 316 stainless steel for all of our hardware including, turnbuckles, gate eyes, toggle jaws, and pelican hooks. We manufacture from (2) different types of wire: PVC coated 7×7 and uncoated 1×19.